Besides wrting code I’m also amateur photographer (you can see my photos on flickr most of them released under creative commons attribution share alike license) and start adding Vignette in GIMP (the only option because I’m working on GNU/Linux). "Create Vignette for the image"
"Copyright (c) 2017 Jakub Jankiewicz <http://jcubic.pl/me>"
the code use named let but it can be rewriten with inner function and invocation. 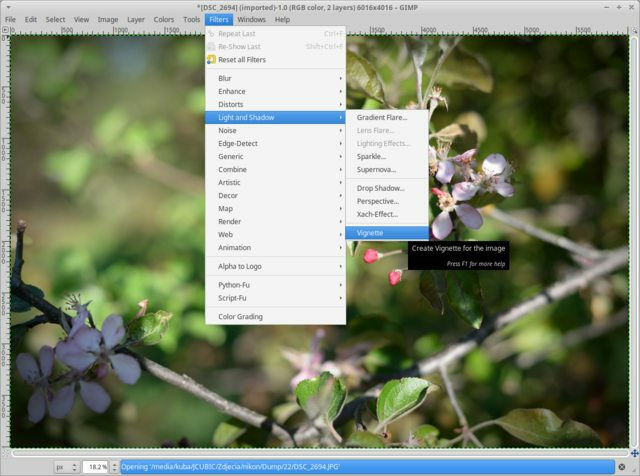 (this kind of trick is needed in script-fu – Gimp extension based on scheme). Here’s the code I wrote for matrix manipulation in scheme. It use lists. 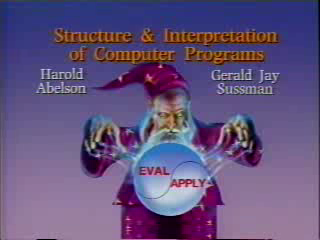 If you have trouble find all Abelson & Sussman SICP video lectures from MIT, here are direct downloads from archive.org (mp4 256kb). Here you can find scheme interpeter using BiwaScheme (using JQuery Terminal Emulator inside JQuery UI Dialog). If you want to download BiwaScheme package click here. If you want to define new function which will be accessable in your scheme interpreter you should use define_libfunc function from global object BiwaScheme. First parametr is scheme name of the function, second and third are minimum and maximum of parameters and fourth is the anonimus function with one argument which is array of parameters pased to scheme procedure. This function will return list of all function and variables in scheme global Environment. If you want to define some variable you must put it in BiwaScheme.CoreEnv array. Former function define power with tail recursion. This code create new macro foo which simply display expression passed as parameters. Note that the whole expression is in expr.cdr filed. In interpeter you could also define macros (like common lisp macros) with define-macro expresion. Which display numers: 10 20 30 40 50 60 70 80 90 100. Update: Check also Extending Scheme interpreter in BiwaScheme wiki on GitHub.